We as humans love the stories of incredible successes. Stories of people doing things that seem impossible. But I got to thinking, “you know when something terrible happens to someone, this person becomes limited to just what’s in front of them. Their options have been taken away from them. And it seems that it’s exactly because their life becomes limited that their life is transformed. It’s as if going through something traumatic is the fuel, or you could say the catalyst, that leads to great transformation. Now I’m not saying we should try to seek out tragedies, don’t do that, please. But what if we could tap into, meaning “utilize”, tap into what these people feel when they are faced with such limitations. 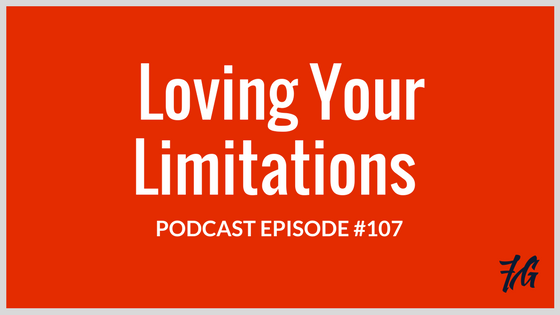 These limitations have forced them to be extremely creative, inspired them, and have helped them find a whole new level of motivation. What can we learn from these stories? And how can we apply what they discovered to our lives without having to go through such a tragic event? Is it even possible? That’s what I’m going to talk about today, and I found a Ted Talk that I think is very relevant to these questions.